Come to the Gift Garden to get all of your holiday decorations! We have a wide variety of gifts for all of your cold weather needs. Check out our flags, and new Yankee Candle scents. 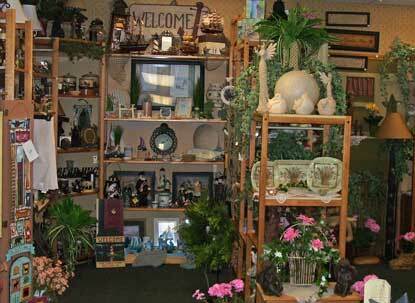 The "Gift Garden" located inside The Fillmore Pharmacy has a wide variety of great ideas for your gift giving needs. Start with a card from Leanin Tree & Legacy. Sweeten them up with a box of Russell Stover candy and look over our assortment of mugs. We have a full line of Yankee Candles, beautiful angels from Willow Tree and many great gift ideas from Demdaco and GANZ. There is a excellent selection of stuffed animals to choose from. Choose a picture frame for that special picture. We also have a large variety of floral to select from. Looking for a birthday present or seasonal gift? Stop in and look over our great selections for all your gift giving needs. Check out our reduced merchandise section. Looking for a Gift Card? Choose a Gift Garden gift cards or choose from our large selection of pre-paid gift cards including JC Penneys, Applebees, Home Depot and much, much more! STOP in today to see all the new merchandise that is arriving! If you should have any questions or are looking for something specific, please contact Violet at 585-567-2228. Kodak Picture Kiosk is available Monday thru Friday 9am - 5pm.